A major feature of the budget is the new Alberta Child Benefit. This will be a non-taxable benefit geared towards lower-income parents. Some households will be eligible to receive up to $2,750/yr. To qualify, a household’s annual income must be below $41,220. Households receiving social assistance will be eligible. The Alberta government estimates that this will affect 235,000 children in 130,000 families. To qualify, recipient households must simply file their taxes. For the current fiscal year, the Alberta Child Benefit will cost $147M; the following year, it will cost $196M. The days of 6% year-over-year growth of health spending may be over. Nationally, inflation-adjusted health spending increased steadily from the mid-1970s until 2010 (during that time, the hospital share of health spending decreased substantially, while the drug share rose). But in 2010, inflation-adjusted health spending across Canada started to plateau (see the line graph on p. 6 of this report). In announcing in this budget that health will see a 3% increase in 2016-17—and that future years will see an increase of just 2.5%—the Notley government appears to be mirroring this national trend. When one factors in inflation and population aging, this appears to be a signal to health administrators to do more with less. On an annual basis, provincial spending on housing will nearly double. The Alberta government announced $892M in new funding for housing, over five years. Much of this will pay for operating costs of already-existing housing. Some providers of affordable housing will get capital money to purchase new units. To put that into perspective, annual provincial spending on housing in 2015-16 was $177M (budgeted). 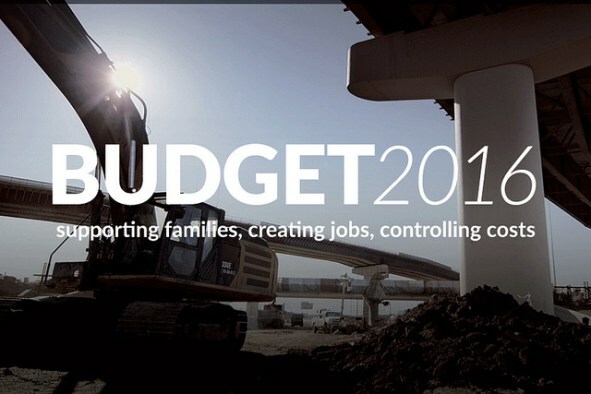 Annual provincial spending on housing for 2016-17 is budgeted at $325M. This is all provincial funding and does not factor in federal funding for housing capital expected in light of this year’s federal budget. The homelessness sector saw a 2% increase in funding. Specifically, Alberta’s homeless-serving sector saw a $3.4M one-time increase (meaning that Homeless and Outreach Supports Services has an annual budget for this fiscal year of $181.4M). Keeping in mind that inflation in Alberta was 1.5% in the past year, this is a modest increase. Many social assistance recipients will see a decrease in the real value of their benefits. There will no increases in benefit levels for social assistance recipients—for example, a ‘single employable’ adult on welfare will continue to receive approximately $8,000 annually to live on (see Figure 9a in this report). However, to account for rising caseloads, Employment and Income Support sees a $10.6M increase on a $679.5M budget. The reason many social assistance recipients will see a decrease in the real value of their benefits is that benefits are not indexed to inflation (ergo: if inflation is 1.5% in the year ahead, the purchasing power of social assistance benefits will decrease by 1.5%). Alberta’s debt-to-GDP ratio remains the lowest in Canada. As David Dodge pointed out last fall, “until the end of 2014-15 Alberta was unique among the four largest provinces in having a net financial asset (NFA) position rather than a net debt” (p. 19). By contrast, British Columbia’s net debt represented 16% of its GDP, while Ontario’s net debt represented almost 40% of its GDP. This led Mr. Dodge to conclude that “Alberta has prudent room for net borrowing before its debt/GDP reaches even the relatively low ratio of British Columbia” (p. 19). Or, in the words of Alberta’s finance minister, Alberta still has the “best balance sheet of any province in the country.” As of April this year, Alberta still had the lowest net debt to GDP ratio of any Canadian province (and by a considerable margin). That’s the ‘good news’ for Albertans. The ‘bad news’ is that credit rating agencies have recently downgraded Alberta’s credit rating. More details on the budget will be released over the next several weeks. With the budget bill having been tabled in the legislature, there will be hearings during the month of May, during which time members of the Alberta legislature will ask questions (including during Question Period). Once each department has been heard in front of Members of the Legislative Assembly, a formal vote will take place on the entire budget. May 17 is when that big vote (called the Main Estimates Vote) takes place. From now until May 17, some of the details behind budget items will therefore be revealed. This process will help inform Albertans where the provincial government is headed in the next several months. To see exactly how Alberta’s net debt to GDP ratio compares with that of other provinces, see p. 12 of RBC’s Canadian Federal and Provincial Fiscal Tables. This post was originally published by the Calgary Homeless Foundation. Nick Falvo is Director of Research and Data at the Calgary Homeless Foundation. His area of research is social policy, with a focus on poverty, housing, homelessness and social assistance. Nick has a PhD in public policy from Carleton University. Fluently bilingual, he is a member of the editorial board of the Canadian Review of Social Policy / Revue canadienne de politique sociale. Contact him at [email protected]. Follow him on Twitter: @nicholas_falvo. I wish to thank the following individuals for assistance with this blog post: Regan Boychuk, Herb Emery, Jason Ennis, Louise Gallagher, Darcy Halber, Ron Kneebone, Diana Krecsy, Lloyd Mason and Kelsey Shea. Any errors are mine.